The male (convex) part consists of a synthetic profile on the door leaf; the synthetic fitting in the door frame is the female (concave) part. Every Anyway door can therefore be set at a swing direction as desired of 90°, or 180°, this guarantees perfect closure and positioning. The system is fully modular, which means it remains adaptable in the future. The built-in vertical door handle is fully integrated into the door leaf structure. Our collection ‘built-in’ door handles do not protrude from the door leaf, so the handle can’t hit the wall and clothes can’t get caught on it. Pushing or pulling suffices due to the Anyway closing mechanism. Apart from these practical features it is an innovative & contemporary concept that combines function and aesthetics. 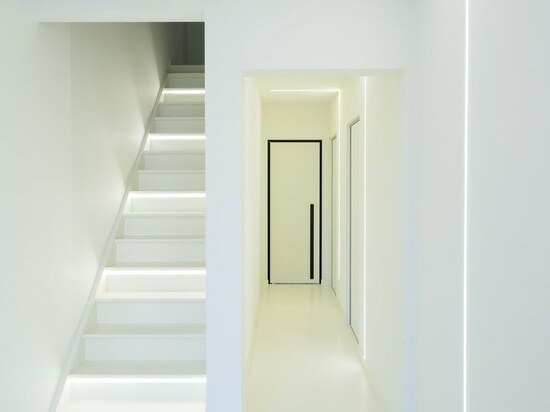 The colour of the insert can be chosen, it can either be in the same finish as the door panel, a different contrasting colour or even a translucent plexiglass insert. 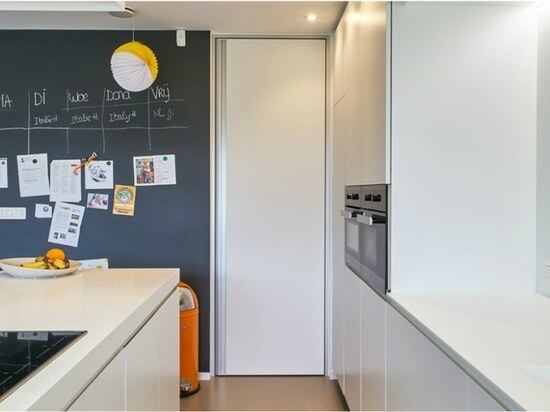 Custom-made interior doors with concealed hinges and adjustable swing direction. The concealed hinges can be fitted on the left side as well as on the right side of the framework. The invisible hinges are hidden behind a special profile so nothing is visible, not even with a fully opened door! 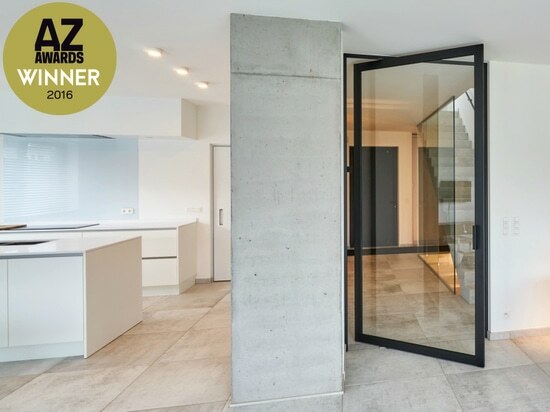 All interior doors close soundlessly by means of patented locking technology integrated in the door as well as in the minimalist frame. 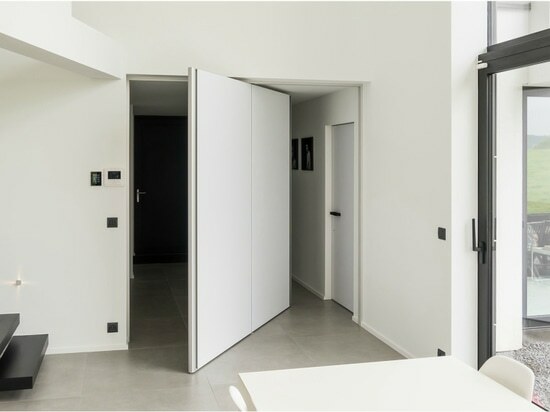 Custom-made interior door with built-in vertical door handle and our minimal BKO frame. The door is finished with Resopal Massiv HPL.